Take your shoes off. Walk up the yellow-coated steps. Sink into a pit of plastic balls. Wait - pit of plastic balls? Is this Chuck E. Cheese's? No, this is the Color Factory, a wonderland of colorful rooms and vibrant lights, wrapped up in the confines of an ordinary building in the heart of San Francisco. 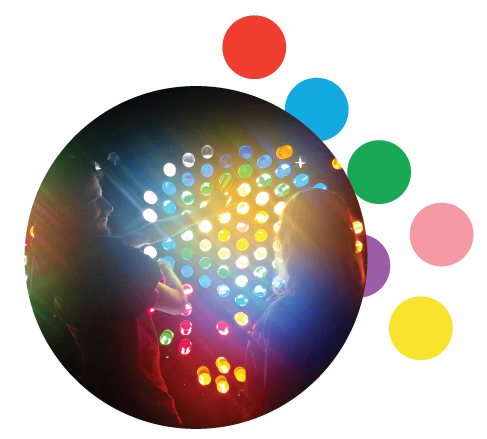 The Color Factory is an experiential art show that plays with colors and materials; sourced from the work of 10+ artists from around the world. 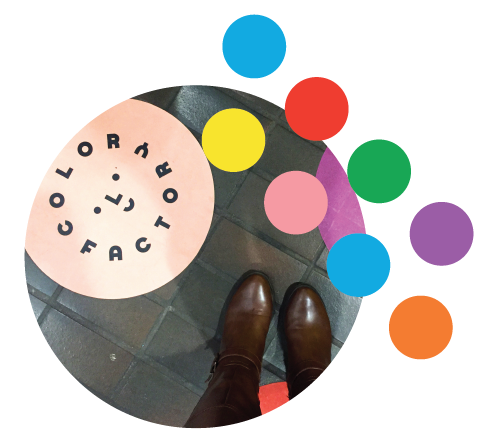 Starting in the summer of 2017, the Color Factory made a splash with millennials and selfie-lovers, especially after the major success of the much sought after Museum of Ice Cream in Los Angeles. Can You See the Colors? ...But wait - grab a charcoal lemonade from Project Juice before you head into the orange room; which looks like a 70s living room, full of only orange items from all walks of life. The orange room doesn’t compare to what follows - a small enclosure filled with giant blue balloons! Up next, is a room filled with disco balls and buttons playing various tunes from the 60s and 70s. Including a favorite, Lucy in the Sky with Diamonds by the Beatles! The path then leads you next to a darkened room. The Kusheen crew spent far too much time in this special space. Why? A giant Lite-Brite! The dark room with colorful plastic cylinders calls back to the child’s toy we grew up with. A friend remarked on how they’d always wanted a Lite-Brite growing up but never got one. 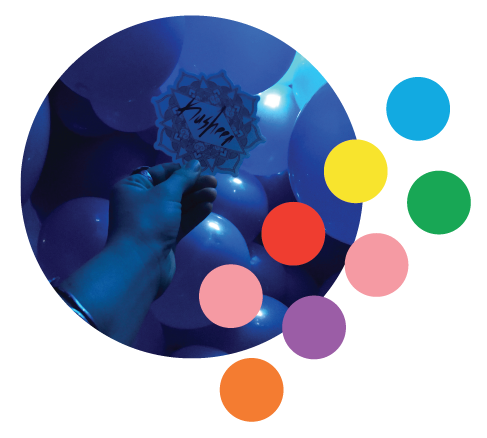 In this moment, the Color Factory, feels like a giant playground for the nostalgic young adult. Next comes a room with wallpaper illustrations, white, black and plain and ready to be colored in! Grab a 5 foot tall green marker and go to town! But don’t stay too long, because the fun is just beginning with a giant installation of hanging ribbons, perfect to run into (and literally a place to run into your friends. Ouch!). Follow the neon smiley face at the top of the hot pink stairwell and you’ll find yourself in a hallway of multicolored vibrant lights. Each color is the perfect backdrop for your next profile photo. This leads to the selfie room and the confetti room. Who doesn’t love confetti falling on them from the ceiling? This room out shines it’s sister selfie room, but whose face is cooler than confetti? Speaking of giant playgrounds, the last room really takes the cake. The yellow room is a giant ball pit - perfect for the jaded adult who missed the days of fast food joints with playgrounds. You’ll have to let your cleanliness go a bit for this one. Step in the ocean of lemon-colored balls and become a kid again! Just make sure to hold onto your belongings or you’ll lose ‘em forever. The fun ends here, but not before you grab a Japanese milk-coffee mini ice cream cone on the way out! Kusheen highly recommends the Color Factory for kids and kids at heart. For more news, reviews and events, visit Kusheen!